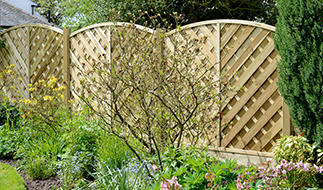 Garden Gates Direct can provide the perfect set of wooden gates for your home, whether you have a country cottage, a modern home or a terraced property, a set of wooden gates can improve privacy for you and your family whilst adding security too. With a variety of styles to choose from, we’re sure you’ll find the perfect set for your home. 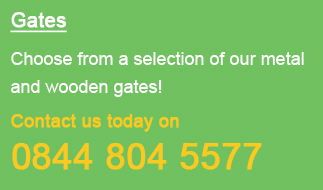 Our wooden double gates are manufactured in the UK whilst our made to measure service ensures you get the perfect fit. We have designs that will suit all types of houses from country cottages, to period properties and new builds. 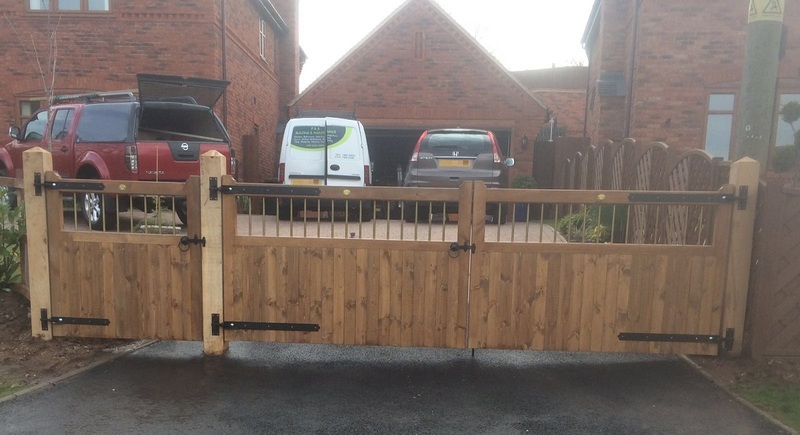 It doesn’t matter how big or small your driveway is, our double timber handcrafted gates provide natural beauty and character at a brilliant rate. 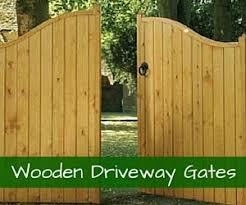 As well as our timber range we also have a modern collection of double wooden gates to choose from which can be made to fit your driveway. Our Gloucester driveway gates are perfect for adding extra security to your home; this style of double gate is suitable for all residential driveways. If you are looking for more privacy, choose from the Drayton Square Top Double Gate or Drayton Wooden Estate Gates, as the extra height decreases visibility into your home and garden area. 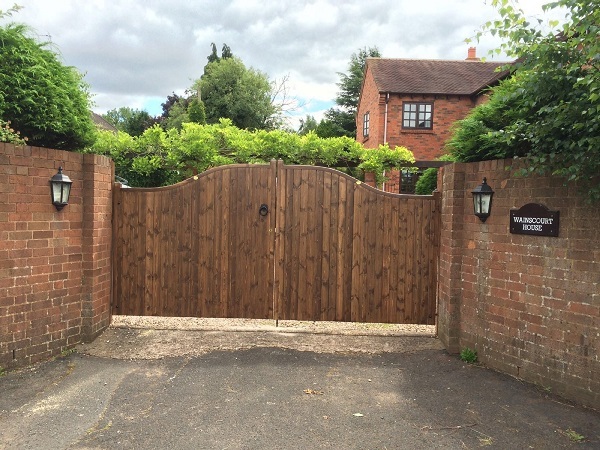 For that little extra style, why not opt for the Essex Shaped Top Double Wooden Gates; the classy curve really brings the set together whilst you also get durability, security and privacy. 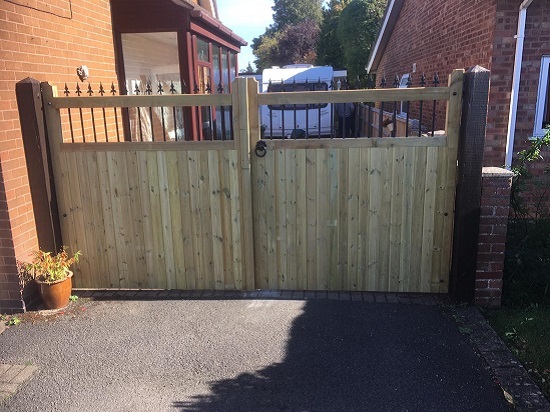 Wooden gates are a great choice over metal gates when privacy is your top priority, and our double gates use wooden boards to produce one solid panel. With such a solid structure, you’ll never have to worry about the security and durability of our gates, whilst security measures for your home and garden will be greatly improved. Here at Garden Gates Direct we like to please our customers and our made to measure service will ensure you get the perfect product and the perfect fit. Simply let us know your preferred design, width and height of the gates and we’ll create a set that exceeds your expectations. 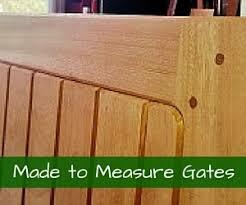 It’s important to know that there will be measurement differences should you already have timber posts in place, but for accurate ordering of your chosen gate, please take a look at our wooden gate measuring guide. 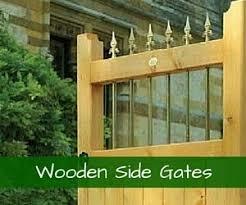 Thanks for taking the time to check out our double wooden gates. Once you’ve placed your order with us we’ll get to work and have them delivered straight to your door, as we cover all homes in mainland UK. Most orders take 10-14 working days while some may take up to 28 working days depending on the design and measurements of the gate. Should you have any questions about any of our products or need further help placing an order, please do not hesitate to send us a message or call us on 0844 8045577.